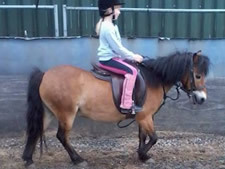 Riding lessons start at £19 for a half hour lesson (Private 1 to 1 Tuition) on your own horse, this increases slightly to £24 if you wish to use one of our school horses/ponies. The time for each lesson is inclusive of the time spent mounting and checking rider's stirrups and girths. We can teach you to ride from the year of your 4th Birthday upwards. 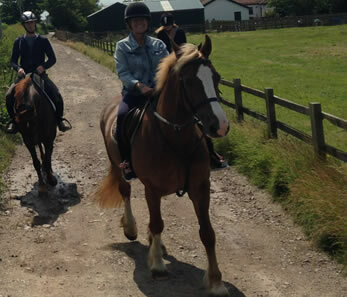 We provide a selection of sensible trained horses and ponies for you to ride or of course you can bring your own. All we ask is that you please arrive at least 10 minutes before the planned start time of your/your child's lesson. Please also be understanding of delays. We aim to start all of our lessons on time. If you need to cancel your lesson for any reason please give as much notice as possible so we can allow others to book lessons/school hire. Unfortunately if you need to cancel your lesson less than 24 hours in advance we require you to pay for the lesson missed. We also teach stable management and horse care. Our aim is to help you train and enjoy riding safely! We are asked regularly how to back horses. We give lessons and help you to back your own horse. We find that clients feel more of an achievement that they have started from the very beginning in their young horses career. But of course we can still back it on your behalf the choice is yours! Lizzie is 13.2hh livery chestnut mare and suitable for complete beginners up to competition standard inc jumping round small courses. Chomp is our smallest school horse. He is of the kindest nature and suitable for the complete beginner. Chomp is 9hh. 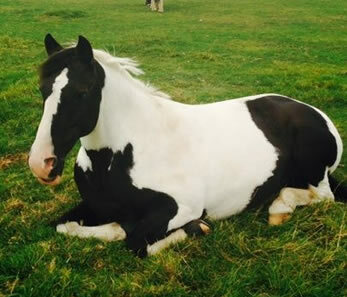 Jerry is our 11.2hh showing pony. He is used in the school due to his quite and calm temperament. He is very quite and well schooled. He is suitable for the complete beginner and also the slightly more experienced. 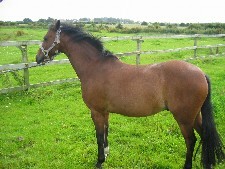 Tilly is a 14hh mare. 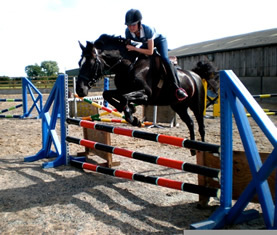 She is for a competent rider to get you prepared ready for your own horse/pony. 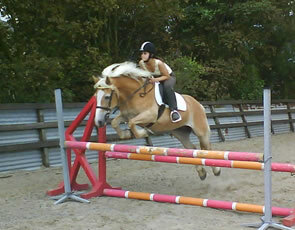 She loves to jump and is an extremely fun pony. 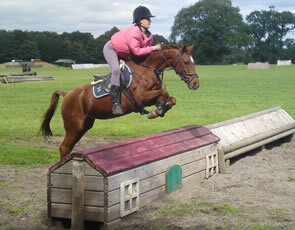 Zak is a 15.2hh chestnut gelding. He is perfect to hack a real confidence giver. He teaches disabled pupils, peoples first ever riding lessons up to advanced. He also goes out competing at unaffiliated level in jumping and dressage. Ozzy stands at 16.3hh and carries our taller pupils. 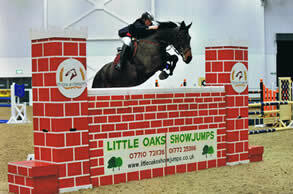 He is highly schooled in dressage and loves to jump. Like all of our school horses Ozzy is sober enough to carry the beginners but is schooled enough to take competing pupils to the top! 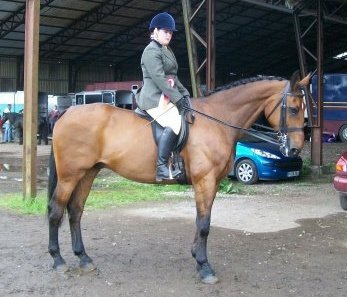 Ace is a 14.2hh gelding. Suitable for complete beginners whilst still being a school master.